Offering Non-Woven Zipper Bag, transparent on one side (plastic side) with the zipper to open and close the bag. The ideal bag to keep sarees. Introducing the Eco-friendly carry bags, non woven fabric bags and nonwoven zipper bags. We offer a vast range of print designs for nonwoven shopping bags which are an ideal alternative to plastic bags. 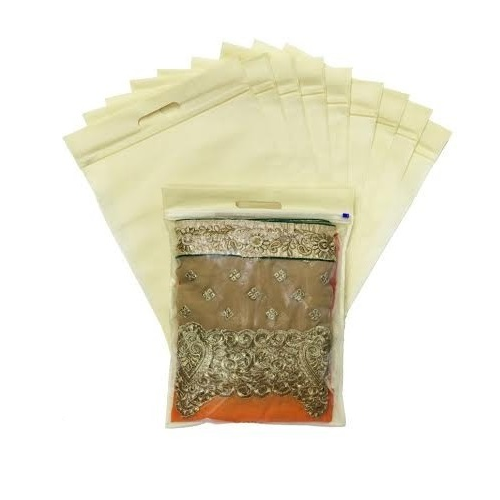 Introducing the Eco-friendly carry bags, non woven fabric bags and nonwoven zipper bags. We offer a vast range of print designs for nonwoven shopping bags which are an ideal alternative to plastic bags.